This line of 90 13-14 month old Angus x Hereford steers, 365kg, from Walcha, NSW made 332c/$1210 yesterday. CATTLE numbers offered on AuctionsPlus dipped slightly this week to 6137 head. Unsurprisingly, numbers were again predominately drawn from New South Wales. Young steer prices generally trended higher, while heifer categories tended to ease in price. Across the sales, unjoined heifers made up 44 percent of the offerings, with an even spread of light calves through to backgrounder cattle with the odd line of feeder cattle. There were a number of offerings of cows and calves from Texas, Queensland, Cassilis and Mangoplah, New South Wales; this week saw buyers spoilt for choice. A small line of unjoined Speckle Park cows with Angus cross and Speckle Park cross calves at foot from Teal Point, Victoria topped their section this week selling for $1620. Commercial Dalkeith bred Poll Hereford cows with Poll Hereford calves at foot from Texas, Queensland also took buyer interest with the two and three year old mobs selling for $1340. Cows and calves sold from $900 to $1620 to average $1183. The heavier end of steers offered this week were once again well sought-after. Steers above 350kg sold from 253c to 343c, averaging 311c. The top priced line of 351kg 12-14 month old Angus steers from Scottsdale, Tasmania made 343c, while a line of 90 13-14 month old Angus x Hereford cross steers, 365kg, from Walcha, NSW made 332c/$1210. Highlights from the lighter end of the market included 253kg Angus steers from Bingara, NSW selling for 358c/$905 to a buyer in Moonie, Queensland, while 256kg Angus steers from Yass, NSW sold for 363c/$930 to a buyer in Tarrawarra, Victoria. 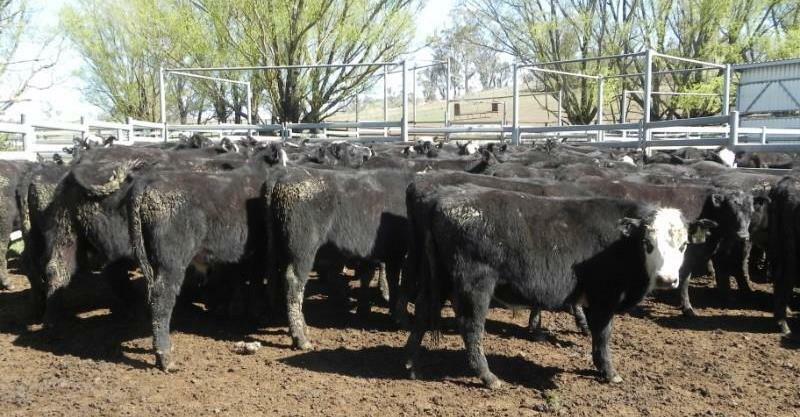 A line of 158kg Angus steers from Tingha, NSW sold for 352c/$555 to local buyer from Armidale. Unjoined heifers prices were boosted with the offering of the commercial heifers as part of the Ben Nevis Angus bull sale, with the tops being 11-12 month old 317kg heifers selling to 308c/$975. Weaner and Yearling sale heifer highlights included heifers under 250kg being topped by a line of 11-12 month old Angus heifers from Inverell, NSW selling for 282c/$705. This mob sold to a buyer from Eidsvold, Queensland. A line of 240kg Poll Hereford heifers from Woomargama, NSW sold for 281c/$675. Among larger lines, an offering of 160 Droughtmaster steers 6-9 months averaging 225kg sold for $620. The southern market continued its strong path this week with a number of highlights from Tasmania. Weaned Angus heifers 262kg from Greens Beach sold to 324c/$850, while 319kg heifers from Selbourne sold to 320c/$1020, and 395kg Charolais x Angus heifers from Pipers River sold to 306c/$1210.